BP has started extracting oil from one of the UK’s biggest offshore investments in decades. The energy giant said that oil is now being pumped from its Clair Ridge project, a section of a hydrocarbon field in the North Sea first discovered in 1977. BP aims to extract 640 million barrels of oil, with production peaking at 120,000 barrels a day. The project is designed to last for 40 years. The second phase development of the oilfield, 50 miles west of the Shetland Islands, is a joint venture with Shell, Chevron, and ConocoPhillips. When discovered in 1977, the field was estimated to contain 7 billion barrels of hydrocarbons, but complex rock formations had prevented extraction. 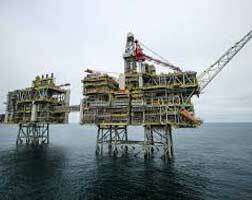 The first oil from Clair Ridge required capital investment exceeding £4.5 billion. The company claimed the project is the largest commissioning in the North Sea in 20 years and has employed at least 6,000 people, including a flotel for 500 workers. BP will hold a 45.1% interest in the field, Shell will own 28%, Chevron North Sea is to take 19.4% and ConocoPhillips 7.5%.